Welcome to North of 9 Fine Wine! Here you will find a selection of tasting notes for wines from both the bi-weekly LCBO Vintages Release program and a number of General List items available at most LCBO stores. Rarely will I publish a review of a wine that I did not enjoy; my taste is purely individual, as is your own. If I write about a particular wine, I do so because I also want you to try it. The new website is now available! Sitting in Halifax's il Mercato earlier this week, I began to photograph and share the dining experience with those who follow me on Twitter. It wasn't long before the restaurant's manager figured out that someone was seated in the dining room and chatting online about the menu and wine list. With thousands of potential visitors at my fingertips, a wave of wine samples began to fill my cup accompanied by an endless array of Italian tastes. One of wines to capture my attention that afternoon was a bottle of Garganega from Italy's Soave region and I'd like to share this interesting variety with you in this edition of Wine for the Weekend. Our red selection in this edition has both next week's American Thanksgiving in mind and the imminent cold weather here in the frosty north. You might consider a bottle of full bodied Chilean Syrah to pair with the rich flavours of the holiday meal or as a warming comfort after last minute winter preparations this weekend. Our WineSpot this week is from Andrea Sherman who is originally from Ontario but is now working in Quebec on a long-term contract. Andrea has a bottle of Ontario sparkling wine to share with us just in time for the string of holiday gatherings over the next few weeks. Thanks for reading and enjoy the wine! Andrea has kindly suggested a bottle of Ontario’s own Angles Gate sparkling wine to get your holiday open house festivities off to a perfect start. She also recommends pairing the bubbly with individual bite-sized seafood appetizers nicely organized on trays and strategically placed around the house so that your guests keep discovering new tastes as they circulate. Tyler’s notes: In the land of Champagne, the style that Angels Gate Chardonnay Brut emanates is called blanc-de-blancs meaning white-of-whites and a purely chardonnay sparkling wine. Expect hints of toasty goodness bundled up in a lemon-lime citrus zest. Perfect for toasting friends and family over the holidays! Thanks for the thought provokingly delicious WineSpot Andrea! ~> I’d love to hear your thoughts on a food & wine pairing: What is your favourite dish? And which wine highlights the flavours of the food? Send me a quick note with your thoughts and I’ll publish it in a future edition of Wine for the Weekend. My apologies for not publishing a Wine for the Weekend post last Thursday. I've been busily writing a new piece on Super Tuscans for Oakville's online newspaper. That article is now available at Oakville.com. Additionly, my 5-part series on Discovering Burgundy is now finished. You can read about 'the big adventure' by selecting the links following this week’s selections. In this edition of Wine for the Weekend I feature a white blend from Ontario that has always struck me as more of a patio sipper / book club style of wine. With the 2010 vintage however, that same label now demonstrates the character that many of us look for in a fruit-forward white wine to pair with dinner. My red selection this week is a showstopper Grenache based blend from the Rhône valley of France. This wine could easily sell for $35-40, yet amazingly it retails for only $17 - I'm sold! The week of October 9th to the 15th was spent hiking through the vineyards of Burgundy’s historic Côte d’Or region. I covered 35km in total tasting (and eating) my way through each village. If you would like to read more about the trip or just enjoy the photographs, simply select a chapter link below; there are five parts in total. Leaf detail and yard cleanup were the priority last weekend. And while I did manage to address that task to completion, I believe that far more time was spent writing about my trek through the Côte d'Or earlier this month. If you've been following my blog, thank you for reading. If you would like to join the adventure, I've posted three separate articles detailing the trip. I'll link you up after this week's wine selections. Having come close to Pinot Noir saturation over the last two weeks, I found myself in search of a contrasting taste. A trip to the Italian section of our cellar produced a bottle of Barbera that quickly solved that dilemma. Barbera's style hints at Pinot in terms if body and the obvious red fruit, but the real difference lies in the streak of acidity that I find pairs perfectly with pizza, pasta, burgers, or most other flavourful profiles - but the best part is that the lable I've found will only set you back 17 dollars. This week's white selection sneaks above the $20 limit, sorry about that, but trust me when I say this late harvest German Riesling is well worth the little bit extra. In this week's WineSpot, Annette from Windsor shares her thoughts with us on a few go-to wines that she keeps handy for impromptu gatherings. I think you will enjoy the convenience of her setup. Annette tells me that she does a fair amount of entertaining. Many of the guests who stop by her condo do so with little notice, which she really enjoys. The key, she recalls, is that when impromptu guests arrive, you need to be ready with a stash of go-to wines and ready-to-serve appetizers. "It's fun when people pop by for a visit and I like to make it look like I was expecting them." she jokes. Sparkling wine - always chilled and ready-to-serve while you whip together a few nibblies and listen to the latest news over the countertop. You can keep the cost down by serving Cremant, Prosecco, or Cava instead of expensive Champagne. A crisp white and a fruity red - both pair well with so many different food styles. Keep them both chilled. The white is ready-to-serve and the red will warm slightly in the glass as you chat. Think Pinot Grigio and Chianti classico or even Beaujolais. I love this thought process Annette - thank you for sharing your ideas with us! ~> I’d like to hear your thoughts on a food & wine pairing: What is your favourite dish? And which wine highlights the flavours of the food? Send me a quick note with your thoughts and I’ll publish it in a future edition of Wine for the Weekend. As always, thank you for reading and have a wonderful weekend. I cannot even begin to tell you what a thrill it was to walk amongst the vines, stopping to taste both the fruit and wine of each village as I made my way through beautiful Burgundy last week while in France. I’ll spend the next couple of weeks writing about the various highlights of the trip and I’d like to thank everyone who sent messages and comments throughout the week. The WiFi as expected was a touch uncooperative when sending images home, but I did receive all your emails - Cheers for that! In keeping with the Burgundy theme, this edition of Wine for the Weekend features a bottle of Pinot Noir from the northern half of the region. This wine demonstrates the overall style of Burgundy’s Côte d’Or and we are very fortunate to have both the label and producer available here at the LCBO. While I prefer my white wine with a touch of delicacy, Jacquie, my lovely wife likes hers with a rip-roaring streak of flavour. Actually, there are many people that enjoy their wine with a little spine. Jac found this Chilean Sauvignon in the latest Vintages release catalogue and asked [with great persuasion] that I include it for you to try as well. So here you go… pucker-up baby, this is a lively one. Though I did protest (ok, more of a token act on my part), the chefs at the Marquee Steakhouse in Milton would not allow me to leave without tasting an autumn-approved, hearty dish. 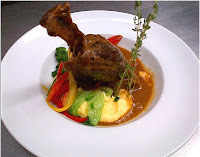 They offered a braised Ontario lamb shank with mascarpone polenta and vegetables. Deep, rich and mouth coating goodness – the lamb deserved a local partner found in Henry of Pelham’s Baco Noir Reserve. The spice/smokey notes and crisp acidity of the wine are necessary to balance the fattiness of the meat and creaminess of the polenta. One of Ontario’s most consistent grapes, this Baco Noir offering is full bodied, deep purple in colour, black cherry and spice smoke. The ripe jam is backed by crisp acidity and a lengthy finish. Definitely a meat-lovers wine. You can follow George on Twitter @CurdsandCliche for more of his thoughts on food, wine, and other topics at random. Last weekend was spent preparing for my hike through the French wine region of Burgundy. I depart on October 9th with no specific date of return. ‘Reflection’ is the underlying theme – just me, a backpack, notebook, and a camera – that’s it… okay, a few technical whizbang items as well, but they’re for use only where I manage to find WiFi, if such a thing does in fact exist along the 45km stretch that constitutes the Côte d’Or; I’m thinking infrequent at best. In addition to the characteristic wines of each commune, I’m in search of something different as I pass through each village of this historical region – perhaps a glass of white where they only grow red, maybe an uncharacteristic bottle of dessert wine or rosé that is never shared outside these beautiful stonewalled communities. Burgundy is the birthplace of both Chardonnay and Pinot Noir, it is also home to many of the world's undisputed great wines – I may never return… I will send for my family… Wish me luck! Switching gears, are you all set for Thanksgiving? Will you be drinking Pinot or a lightly oaked Chard with your turkey and ham? Perhaps neither… I’ve found two alternatives that that will fit the bill nicely. For those who are planning a house full of family this holiday weekend, you will also need plenty of liquid encouragement to guide both yourself and the group throughout the day. Of course red wine is essential and the one region that jumps to mind for its unlimited pairing potential is Beaujolais. Additionally, I’ve found a laser focussed Riesling to substitute for the Chardonnay, if you feel so inclined. I opened this Washington State white earlier this week and everyone in the room loved it. George Ozegovic 'Djordje' (say that three times fast) is a gentleman of discerning taste who also happens to have a family history in winemaking. His stories fascinate me and his methods captivate my attention. I am thrilled to share this page with him for what is sure to be a creative WineSpot. For those who prefer their Riesling with a touch of verve, this is your girl - KungFu Girl that is. Obvious effervescence in the glass hints at the potential for residual sugar while that same degree of sparkle carries through to an uplifting texture on the palate - though the sweetness doesn’t stand a chance against the wave of mouth-watering acidity [insert random martial arts exclamation here]! Copious amounts of green apple and lime zest quickly follow-up, and while my personal taste is for a Riesling of somewhat softer and arguably more restraint, the roomful of people present while I tasted this wine unanimously down-voted my opinion. George Ozegovic shares his thoughts on pairing Bronzini with the 2010 Terredora, Loggia della Serra, a product of the white grape Greco di Tufo. I would hazard to guess that few people welcome the autumn as much as I do – but mostly as a justification for the oncoming winter weight gain. This year, I’ve decided to change my routine and not eat my way through the season. I sat down with chef Serdjo Lakich and sous chef Mike Lyons of Marquee Steakhouse to enjoy a meal and discuss the perception of challenging wine pairings. And instead of entering the season with a traditional harvest heavy dish, I opted for European seabass (bronzini). My approach to food and wine pairing is simple: keep both indigenous to a region and the wine should “kiss not hug” the food. Meaning, the wine should provide balance to the food and not smother it. In North America, we are extremely lucky to have (and share) many different food cultures but it often poses a challenge in what we pour. Winemakers are a reflection of their earth and their products are often best suited for what is caught, grown and reaped within the region. 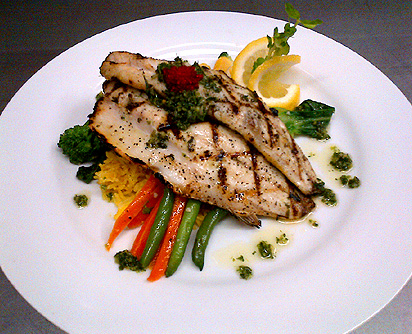 So, my choice of grilled, Italian caught seabass naturally called for an Italian wine – 2010 Terredora Loggia della Serra, Greco di Tufo. Tasting note: Cool fermented and aged on its lees in stainless steel, this wine pops with citrus, peach and layered aromatics yet somehow remains soft. Very well balanced, medium bodied with excellent acidity. Normally, I would not choose a wine with such great aromatics and vibrant fruit to pair with a mild and finely textured fish – but I always consider the cooking method and accompanying side dishes. The wine’s residual sweetness and balanced acidity provide a perfect “kiss” to grilling and the sugars that come out in cooked vegetables. ~> That sounds just about perfect, but there is more to follow: George has kindly sent us a second food/wine pairings and I will feature his WineSpot with braised lamb shank in our next edition of Wine for the Weekend - stay tuned! In terms of wine related activities and late evenings, I believe that I may have overdone it recently. Hence the absence of last week’s Wine for the Weekend post; Thursday to Sunday was actually spent battling a sinus cold – with no regrets mind you! Thanksgiving in Canada is just around the corner (October 8th to be precise) which means that it is also time to consider a few possible food/wine pairings to enhance the occasion. There are several traditional combinations for the holiday feast, but in general I tend to think of the event along the lines of ‘special occasion = better wine’. Holiday wine selections really do depend on the combination of flavours that present themselves throughout the day. I’ll have more on the subject of holiday food and wine pairings after the post. On the topic of Wine for the weekend, I’ve found you a shockingly good red from the south of France that will compliment many of the richer-styled dishes and flavours. I also have a very refreshing aperitif wine, though I could easily be persuaded to serve it alongside dessert as well - I think you'll enjoy that one too. Jennifer Hart has kindly provided us with this week’s WineSpot. 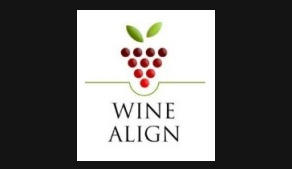 Jen and I have connected through the various WineAlign functions that we attend. You are sure to be impressed by the two bottles of bubbly that she has selected for you. The unparalleled growth in sparkling wine sales over the last ten years is due in part to the fact that the current wine-drinking generation does not reserve a glass of sparkle for special occasions only. The appeal, aside from the obvious yumminess-factor, is accessibility and the value/price equation. One no longer has to turn just to Champagne, there is a whole world of other options – literally! That is why this weekend, wine that sparkles is my suggestion. Bubbly stands up to the whole meal from salty nibbles to light, preferably berry-based, desserts. This wine has predominantly apple notes but the 15 months it spends in oak gives it some biscuit and nutty complexity. Its crisp acidity allows it to stand up to some lovely creamy cheeses like Delice de Bourgogne or St. Andre. 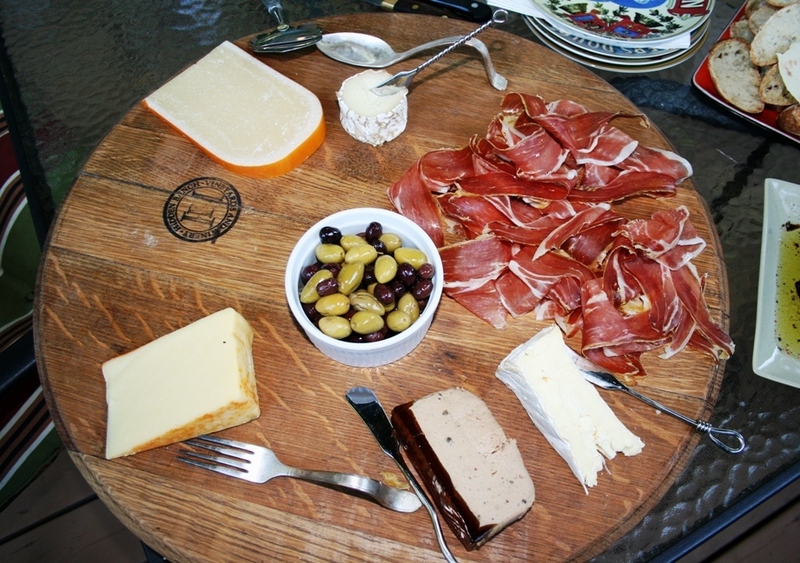 It also pairs wonderfully with salty olives, Parmigiano Reggiano and charcuterie. The beauty of sparkling wine is its versatility. When serving hors d'oeuvres, and not certain what to match, the different flavour profiles of the food are effortlessly covered with one beverage. 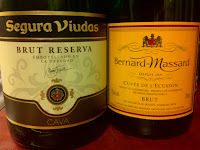 Often Cava's more elegant cousin, Cremant is still very approachable at under $20.00. 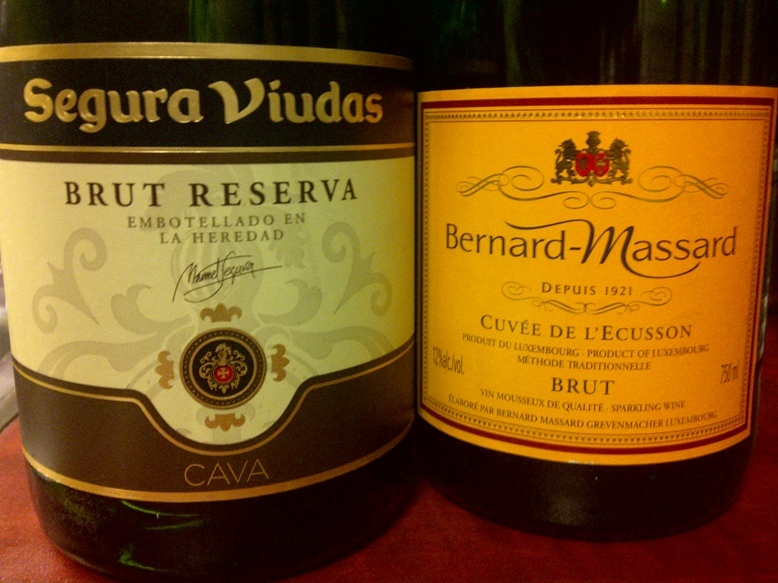 The recently released Bernard-Massard Brut Cuvee de L'Ecusson (Luxembourg) is especially impressive for $16.95. The blend of Pinot Blanc, Chardonnay, Riesling and Pinot Noir creates a lovely wine of reasonable complexity. Slightly off-dry, this wonderful wine has a lemon-lime, pear bouquet that follows through on the creamy palate. A moderate finish that ends with an enticing hint of nuttiness. This too would go beautifully with cheeses that have some strength, earthiness or nuttiness like Gouda, Brie de Meaux, Munster or Tomme de Savoie. Of course Cremant, Cava, Prosecco and most other sparklers pair nicely with the standard Champagne matches such as oysters, shellfish and seafood. Sparkling wine is also one of the few choices that will go with eggs. Try it with tasty cheese soufflés especially when the main ingredient is Emmantal or Gruyere – think brunch! Thanks for the great WineSpot Jen! Last weekend was spent poking around used bookshops and flea markets north of Toronto where I stumbled upon an old copy of Wines of France by Alexis Lichine. I now have three copies of this book in various editions, one of which travels everywhere with me. Lichine's words captivate, and I am truly fascinated by his recollection of the historic villages in Burgundy. I also intend to follow his notes next month as I make my way through the same villages and stand in the same stonewalled vineyards 60 years later. Excitement might be an understatement! This week, a Spanish favourite of North of 9 makes its third appearance in Wine for the Weekend. This red changes slightly from one vintage to the next (as do all quality wines) and this year, I find that it packs a slightly bigger punch in terms of flavour intensity. We’ll also travel to Germany’s Pfalz region for a taste of Gewurztraminer that I think you will enjoy as well. Christine shares her thoughts with us: Castello Banfi has a well-earned reputation for producing some incredible wines from Italy’s Montalcino region, in particular, their expensive Brunello di Montalcino labels. At $15.95, the 2010 Centine may not be a bottle of Brunello; it is, however, a blend of sangiovese, cabernet sauvignon, merlot and a straight up bargain! For its age and cost, this one is a winner all the way. The 2010 Centine is very light on both the palate and nose. It’s not a complicated wine but there is no denying the very distinct taste of sweet, juicy, ripe black cherries synonymous with wines produced in this region. The blend of the three grapes lends itself to drinking this wine while it is still quite young. I jokingly refer to this bargain as a 'Super baby Tuscan'. Thanks for the great WineSpot MamaCoop! Our WineSpot this week is via fellow WineAlign taster and author of the website ‘The Yummy Grape’ - Monika Janek. This week, Monika will have you fine tuning your palate with a bottle of slightly atypical California Chardonnay. 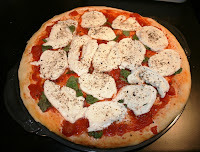 Of course she also pairs it with a delicious dish to complete the package perfectly. As the Toronto International Film Festival descends upon the city for ten days of glitz and glamour, why not celebrate the star-studded week with a wine from California's most famous region - Napa Valley. Monika recalls that the 2010 Anitca Chardonnay goes against the often stereotypical role of big, buttery and brutish. It resembles a classy Hollywood star from the 40s: smooth and elegant with considerable length. Displaying flavours of lemon and pear with hints of spice, the mineral notes shine through. The oak takes a step back from the limelight. The 2010 Anitca Chardonnay is definitely fresh and "cool" in character. Although I personally would be happy to enjoy this Chardonnay on its own, it will pair well with braised pork or grilled chicken with herb jus. Not an inexpensive wine, but certainly one that you'll enjoy having in your collection. So go ahead and splurge! Thanks for the amazing WineSpot Monika! * Please take a moment to visit TheYummyGrape.com for more educational adventures in wine. Did you manage to find a bottle of that Muscat de Beaumes-de-Venise I recommended last week? Wasn’t that awesome! A case has just arrived at the Newmarket LCBO for those in the area. Grab it before it's gone! I spent last weekend on the road which unfortunately takes me away from my family, though it does present the opportunity to purchase a few bottles out-of-province. Elderton Command 2005 was my score in Edmonton on Saturday afternoon. I’m in a bind this week: I’ve got too many wines that need your attention. They’re all from South America with the first being a Chilean in the form of Sauvignon Blanc and a really top-notch example at that. But I’ve also stumbled upon a very classy Chardonnay from Argentina for only $11; you’ll need to try that one as well :) Better yet, how about a bottle of Merlot – also from Chile – I enjoyed this one so much, that it prompted me to write about the grape in a new article via Oakville.com. The piece generated a nice compliment from Rex Pickett, author of the book Sideways and the story behind the hit movie. I’ll link you up a little later in the post. I had the opportunity to taste this wine with Finca El Origen’s winemaker Gonzalo Bertelsen and a select group from the WineAlign team at a luncheon downtown this week. To put it bluntly, there are a number of Chardonnay examples available in the $10 range that leave you with a feeling of inadequacy in terms of quality. Far too many over-cropped and heavily oaked ho-hum wines leave drinkers with little option other that to move on to alternate grape varieties with hopes of discovering something significantly more captivating – until now… The 2010 Finca El Origen Chardonnay from Mendoza Argentina is a stunning example of the grape and at $10.95 is arguably the best in its class at the LCBO. The wine glistens in the light reflecting both its purity and clarity. The colour is bright yellow with green hues at the shoulders. Aromas only hint at oak influence with more focus on sweet ripe melon and lemon as a prelude to the clean, cool climate mineral texture and beautifully balanced acidity. Lovely combinations of citrus and herbal notes on the palate with a touch of creaminess and a slightly spiced finish. There is a degree of complexity here that elevates this wine well above others in the price range. Very enjoyable and a fantastic value. Burgundy Translated - simplifying this incredible region. A 5-part series detailing the adventure.